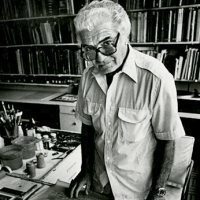 Alex Steinweiss was an american graphic designer, a student of Joseph Binder, who designed some posters and book covers, but is most famous for his many record covers, and is even credited by some authors with inventing them in 1939, when most record covers consisted of brown wrapping paper. "The new packaging concept was a success: Newsweek reported that sales of Bruno Walter’s recording of Beethoven’s “Eroica” symphony increased ninefold when the album cover was illustrated." 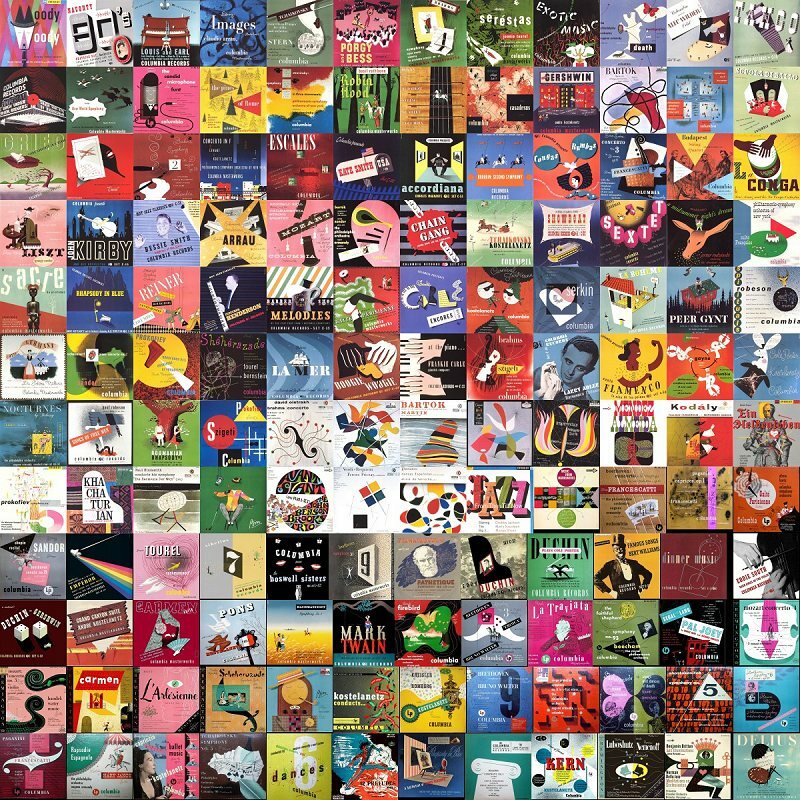 At right are some of the 2500 covers he designed during his career. Many more can be found in the link list below.